Jason Rothenberg, the showrunner for The CW’s The 100, has apologized to fans outraged by a recent death on the teen-based post-apocalyptic show. “Those of us lucky enough to have a platform to tell stories have an opportunity to expand the boundaries of inclusion, and we shouldn’t take that for granted,” Rothenberg wrote in an essay called “The Life And Death Of Lexa.” The title refers to the now-dead “grounder” leader, who’d recently entered into a relationship with series star Eliza Taylor’s space-born hero Clarke Griffin. 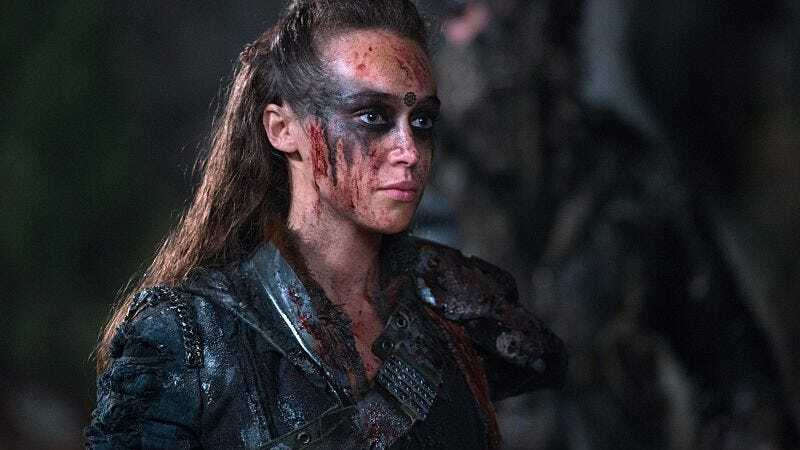 Lexa’s death—motivated, at least in part, by actress Alycia Debnam-Carey’s schedule-impacting commitment to AMC’s Fear The Walking Dead—provoked severe emotional responses from the show’s audience, who railed against losing a strong lesbian character just moments after seeing her and Clarke solidify an openly gay relationship. If the comment responses to Rothenberg’s open letter are anything to go by, though, his apology isn’t being accepted with open arms. “Just do us a favor and move on from Lexa, because although you had created that character, you proved unworthy of the purity of such a character,” one commenter on the essay wrote; several others have seconded the notion, suggesting that anger about the character’s death is still strong several weeks after it occurred. The 100 was recently renewed for a fourth season by The CW; it remains to be seen whether tempers will have cooled between the show’s upcoming May 19 finale, and its expected return next year.